Biological Sciences: Marine Biology M.S. The Marine Biology (MB) option is intended for students interested in marine, coastal, and estuarine ecosystems, and the organisms that inhabit them, at all levels of inquiry. Some UNH faculty use marine organisms as model systems for molecular phylogeny, cellular metabolism, and neurobiology, while others study the structure and function of marine ecosystems. Some faculty members focus primarily on basic research; others work in applied areas such as aquaculture and fisheries; many combine the two. Students who have earned advanced degrees at UNH lead agencies involved in managing valuable marine resources, teach marine biology in academic and public settings, own aquaculture companies, or earn a living as researchers. In addition to on­-campus facilities, UNH owns the Coastal Marine Laboratory (https://marine.unh.edu/facility/judd-gregg-marine-research-complex) and the Jackson Estuarine Laboratory (https://marine.unh.edu/facility/jackson-estuarine-laboratory), and a range of research vessels. UNH has an excellent SCUBA diving program for students interested in becoming certified to dive as part of their research. 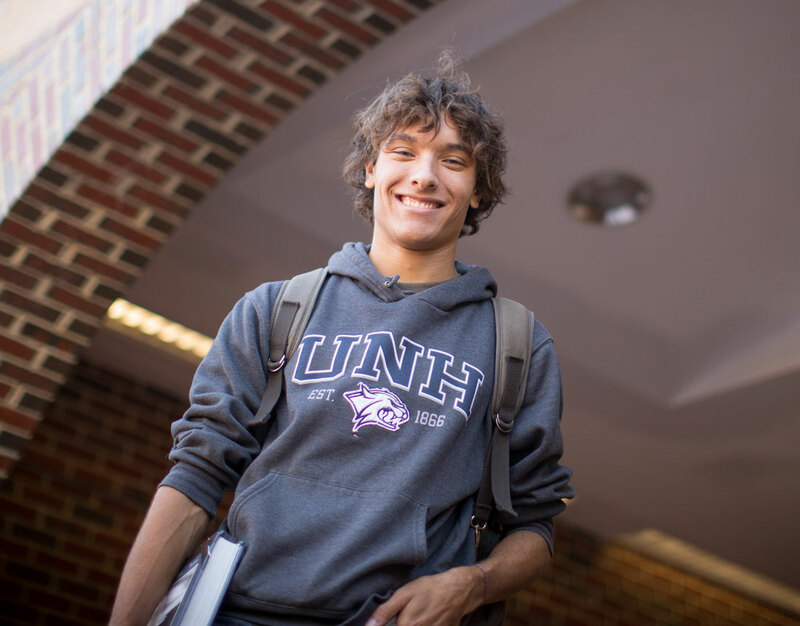 The Marine Biology option is also affiliated with UNH’s School of Marine Sciences and Ocean Engineering (https://marine.unh.edu). Students plan a program of study in conjunction with their advisor and Master’s Thesis Committee, including the required core courses and competencies. Completion of at least 30 credits, including research credits, is required. A thesis proposal is developed within the first year. Students complete thesis research for 6 to 10 credits; the degree is completed when results are acceptable, a formal thesis presentation and defense has occurred, and the thesis is approved by the Master’s Thesis Committee and accepted by the Graduate School. A common set of policies and guidelines applies to both Biological Sciences degree options (IOB and MB). Additional option­ specific course recommendations or requirements may be established by the faculty within each option. The M.S. degree requires completion of a minimum of 30 credits, 6-­10 of which may be earned for thesis research (BIOL 899 Master's Thesis ). The Biological Sciences Program specifies 2 credits’ worth of required coursework (BIOL 901 Introductory Graduate Seminar); most students use 6 more credits to satisfy the competency requirement in experimental design/analysis (BIOL 811 Applied Biostatistics II or BIOL 933 Design, Analysis, and Interpretation of Experiments, 4 credits) and recommended coursework in writing/communication (BIOL 902 Writing and Publishing Science or BIOL 950 Scientific Communication, 2 credits). Other graduate coursework approved by the student’s committee can substitute for any of these courses except BIOL 901 Introductory Graduate Seminar. Up to 8 credits of graduate credit from another institution may be transferred, provided the credits were not counted toward another degree, and the course grade was a B or higher. 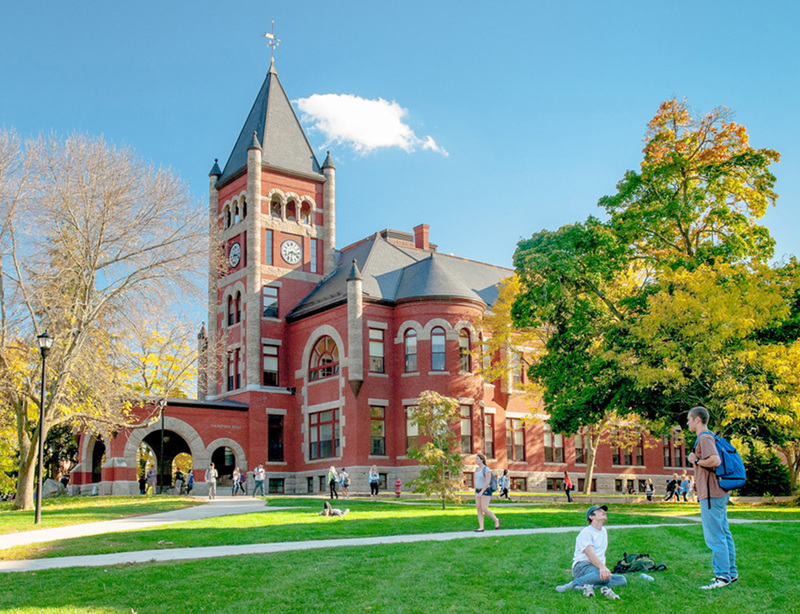 Petitions requesting transfer credit must be supported by the advisor and graduate committee, and approved by the UNH Graduate School. All students in the Biological Sciences Graduate Program are required to take Introductory Graduate Seminar (Introductory Graduate Seminar (BIOL 901) and fulfill all applicable competency requirements (these may vary by option). Those with teaching assistantships (TAs) must enroll in College Teaching (College Teaching (LSA 900) before or concurrent with their first teaching assignment. Core Course. Introductory Graduate Seminar (Introductory Graduate Seminar (BIOL 901). This first-­semester course focuses on key information and skills for a successful transition into the graduate program, familiarizing students with program requirements and faculty and providing an opportunity to meet others in their cohort. Competency in experimental design and analysis. This may be fulfilled by previous graduate coursework (as determined by the student’s advisor and committee), or by taking one graduate-level course. Two advanced courses in experimental design and analysis are offered, normally in alternate years. The first is Applied Biostatistics II (Applied Biostatistics II (BIOL 811), and the second is Design, Analysis and Interpretation of Experiments (Design, Analysis, and Interpretation of Experiments (BIOL 933). Either course, or an equivalent approved by the student’s advisor and committee (e.g. Analysis of Ecological Communities and Complex Data (NR 909), can be used to fulfill this competency requirement. Electives. Students will work with their advisor and committee to identify additional courses appropriate for their area of specialization and their career objectives. Recommendations often include coursework in professional writing and communication: Scientific Writing (Writing and Publishing Science (BIOL 902) is taught fall semester, and open to students at any stage of the program. Scientific Communication (Scientific Communication (BIOL 950) is usually taught in spring. A course in Grant Writing (Grant Writing (NR 905) is offered by the Department of Natural Resources. All students in the Biological Sciences Program are expected to present their research in public seminars (including the UNH Graduate Research Conference), and acquire teaching and/or mentoring experience. A summary of M.S. and Ph.D. degree requirements is available at https://colsa.unh.edu/biological-sciences/program/ms/biological-sciences-marine-biology, along with the program’s graduate handbook, which includes expectations, guidelines, and detailed policies. Fall: Jan.15 (priority*); Aug. 1 (final) *Applications completed by Jan. 15 will be given priority consideration for admission and financial support. Applications completed after Jan. 15 will be considered based on openings and funding. Applicants are strongly encouraged to apply early if they wish to be considered for financial and priority consideration. BIOL 903 (Grad Research Techniques – option-specific) first spring semester May be required in some options: consult advisor or option rep.